Members of the Orchestra (and Choir) have the opportunity to travel on a music tour each year. 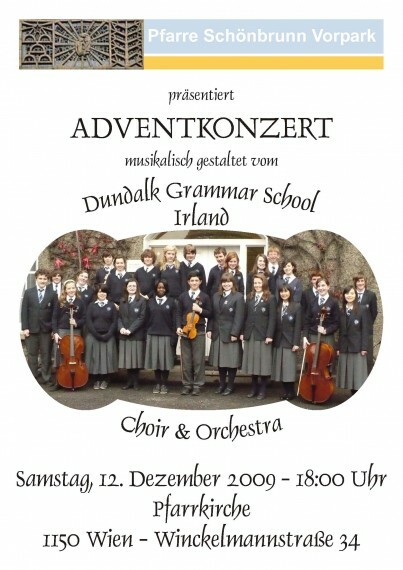 The choir and orchestra have performed in many parts of Europe. Highlights in recent years have included participating in the international choral festival in Prague (2007) and performing at the Menim Gate in Belgium (2008) as part of the Last Post ceremony. In 2009 we were honoured to perform at the Last Post Celebration at the Menin Gate in Belgium. Performances in Vienna followed in December 2010, Venice and Lake Garda in April 2011 and Budapest in December 2012. In December 2015 we had the opportunity of travelling to Copenhagen and Malmao. Email: [email protected] for info. Debating Update – Continued Success for Junior and Senior Debaters!